(1) EDELMAN GOH SPEECH AT WFC44. World Fantasy Con GoH Scott Edelman has posted a video of his speech, which is a call for inclusiveness in many dimensions of conrunning and the sff community. Scott hired the ASL interpreter seen in the video at his own expense, reports Andy Duncan. (2) ARISIA 2019 NEWS. Arisia Inc. announced that Bjo and John Trimble will remain as GoHs, as will artist Elizabeth Leggett, but not Daniel Older and Malka Older. It is with respect and regret that we are confirming what Daniel Older reported in his social media; he and his sister, Malka Older will not be participating in Arisia 2019. We asked each guest to make the choice they felt most comfortable with, and Malka and Daniel let us know they could not participate as things stood. Our Fan Guests of Honor, Bjo and John Trimble, have confirmed that they would like to continue to be our guests. Lastly, as we shared from her social media post earlier, Elizabeth Leggett will continue to be our Artist Guest of Honor. We cannot hold a convention in a hotel that is striking. If the strike continues, we see two possible options, and are looking for your help to determine which one is best. We can either move the convention to another property, or cancel Arisia 2019. We will need to work together to determine a timeline to make the go/no-go decision, as well as which of the two outcomes we should choose in the event the strike continues…. (3) PARDON THE INTERRUPTION. Some booksellers are retaliating against a new AbeBooks policy: “Booksellers Protest Amazon Site’s Move to Drop Stores From Certain Countries” – the New York Times has the story. More than 250 antiquarian book dealers in 24 countries say they are pulling over a million books off an Amazon-owned site for a week, an impromptu protest after the site abruptly moved to ban sellers from several nations. The flash strike against the site, AbeBooks, which is due to begin Monday, is a rare concerted action by vendors against any part of Amazon, which depends on third-party sellers for much of its merchandise and revenue. The protest arrives as increasing attention is being paid to the extensive power that Amazon wields as a retailer — a power that is greatest in books. The stores are calling their action Banned Booksellers Week. The protest got its start after AbeBooks sent emails last month to booksellers in countries including South Korea, Hungary, the Czech Republic and Russia to say that it would no longer “support” them. “We apologize for this inconvenience,” the company said…. (4) MORE MEXICANX. Stephen C. Tobin covered the MexicanX Initiative for Latin American Literature Today: “The Long-Overdue Recognition of Mexicanx Science Fiction at This Year’s WorldCon76”. (5) A DISTURBANCE IN THE FORCE. According to “On The Need for New Futures,” a 2012 article on Solarpunk.net, that’s the question this movement—which melds speculative fiction, art, fashion and eco-activism—seeks to answer. In the same post, Solarpunk’s anonymous founders warn, “We are starved for visions of the future that will sustain us, and give us something to hope for.” Yet what if we dreamed differently? What if we tried to answer a separate question: What does a sustainable civilization look like, and how can we get there? Solarpunk is the opposite of cyberpunk’s nihilism, offering stories, the founders say, about “ingenuity, positive creation, independence, and community.” These narratives are often framed around infrastructure as both a form of resistance and as the foundations for a new way of life—the eponymous solar panels feature heavily. “I’ve always written utopian science fiction,” says Robinson. He’s one of the best world-builders in contemporary sci-fi, and these stories of terraforming Mars are super worked-through, both technically and sociopolitically. They describe a future in which humans just might be able to achieve ecosystem balance. This is far less utopian than Robinson’s work, but perhaps, quietly, just as hopeful. In a world wracked by climate change and fully captured by corporate power, most people live grinding lives of toil in “Default” cities. Yet 3-D printing has created post-scarcity, and so Doctorow’s trio of characters simply secede and walk away into the lands in between, and start to rebuild the world. “The point of Walkaway is the first days of a better nation,” one says. Check out Sunvault: Stories of Solarpunk and Eco-Speculation (2017, eds. Phoebe Wagner and Brontë Christopher Wieland), the first English-language collection of solarpunk fiction . For stories from Brazil and Portugal, there’s Solarpunk: Ecological and Fantastical Stories in a Sustainable World (2014 / English 2018, ed. Gerson Lodi-Ribeiro). (7) BETTER LUCK NEXT TIME. James Davis Nicoll wonders if we missed the chance at a real-life Rendezvous with Rama: “Recent Interstellar Asteroid May Have Been Alien Artifact, Speculates New Paper”. … “Just what is ‘Oumuamua?” you may ask. I am so glad you asked. It’s the first ever verified interstellar object traversing our solar system. It was discovered in late 2017. Unlike Rama, it was only spotted over a month after its first and only perihelion. Also unlike Rama, there weren’t any space probes conveniently located where they could be diverted to take a close look. And of course, unlike Rama, we have NO nuclear-powered crewed spacecraft bopping around the Solar System, let alone one in the right place at the right time to visit ‘Oumuamua…. (8) MARTENSSON OBIT. “[Swedish fan] Bertil Mårtensson died this morning, from the effects of inhaling smoke and soot during a fire in his apartment kitchen last Thursday – he was weakened from other illnesses, and unable to escape from the apartment,” John-Henri-Holmberg announced on Facebook. 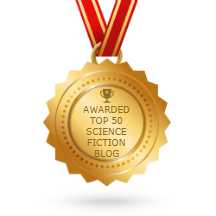 The Science Fiction Encyclopedia has an entry about his writing career here. November 4, 1920 – Sydney Bounds, Writer, Editor, and Fan from England who was a prolific author of short fiction, and novels — not just science fiction, but also horror, Westerns, mysteries, and juvenile fiction — from 1946 until his death in 2006. He was an early fan who joined Britain’s Science Fiction Association in 1937 and was active in fandom there. He worked as an electrician on the Enigma machine during World War II, and while in the service, he started publishing the fanzine Cosmic Cuts. The film The Last Days on Mars (an adaptation of “The Animators”) and the Tales of the Darkside episode “The Circus” are based on stories by him. In 2005, two collections of his fiction were released under the title The Best of Sydney J. Bounds: Strange Portrait and Other Stories, and The Wayward Ship and other Stories. In 2007, the British Fantasy Society honored him by renaming their award for best new writer after him. November 4, 1950 – John Vickery, 68, Actor of Stage and Screen. Wearing making makeup and prosthetics is something this performer did very well, as he appeared as a Cardassian military officer in Deep Space Nine’s “The Changing Face of Evil”, a Betazoid in Star Trek: The Next Generation’s “Night Terrors”, and a Klingon in Star Trek: Enterprise‘s “Judgment”. In Babylon 5 and its spinoff Crusade, he had dual roles, as Neroon and Mr. Welles, and he had guest parts in episodes of Medium and The Others. A veteran stage actor, he originated the role of Scar in The Lion King on Broadway. November 4, 1955 – Lani Tupu, 63, Actor and Director from New Zealand. He’d be on the Birthday scroll just for being Crais on the Farscape series, but he’s actually been in several other genre undertakings, including the 1989 Punisher, Robotropolis, and Finders Keepers. He also had guest parts in episodes of Tales of the South Seas, Time Trax, Arthur Conan Doyle’s The Lost World, and the Australian remake of the Mission: Impossible series (which if you haven’t seen it, is quite excellent; I just found it in DVD format sometime in the past month). November 4, 1953 – Kara Dalkey, 65, Writer and Musician. Author of YA fiction and historical fantasy. She is a member of the Pre-Joycean Fellowship (which, if memory serves me right, includes both Emma Bull and Stephen Brust) and the Scribblies. Her works include The Sword of Sagamore, Steel Rose, Little Sister, and The Nightingale; her Water Trilogy blends together Atlantean and Arthurian mythologies. She’s been nominated for Mythopoeic and Tiptree Awards. November 4, 1953 – Stephen Jones, 65, Editor from England. He is a prolific Anthologist — and that is putting quite mildly, as he went well over the century mark in edited anthologies quite some time ago. The Mammoth Book of Best New Horror accounts for seventeen volumes by itself, and his editions of The Mammoth Book of (Pick A Title) run for at least another for another dozen. He has also authored a number of horror reference works, such as The Art of Horror Movies: An Illustrated History, Basil Copper: A Life in Books, and H. P. Lovecraft in Britain. He chaired the World Fantasy Conventions in 1988 and 2013, and has himself been a Guest of Honor at a World Fantasy Convention. His work has won a whopping 22 British Fantasy Awards, 5 Stoker Awards, and 3 World Fantasy Awards. In 2006, the British Fantasy Society recognized him with the Karl Edward Wagner Award for outstanding contribution to the genre. November 4, 1965 – Kiersten Warren, 53, Actor who has had roles in Bicentennial Man, Independence Day, 13 Going on 30, The Astronaut Farmer, The Thinning, and The Invisible Mother, and guest roles on episodes of Night Man, Wolf Lake, and Fringe. November 4, 1970 – Anthony Ruivivar, 48, Actor whose genre appearances include Starsthip Troopers and The Adjustment Bureau, along with a plethora of recurring roles in TV series Frequency, The Haunting of Hill House, American Horror Story, Scream, Revolution, and the new Beauty and the Beast, and recurring voice roles in Beware the Batman and Avengers Assemble. Brevity turns to Auric Goldfinger for a laugh. (11) CHUCK TINGLE’S HALLOWEEN COSTUME. This has probably never been done before. (12) HELP NEEDED BY LONGTIME ASFA, SFWA, WHC VOLUNTEER MAURINE DORRIS. “Medical for Maurine Dorris” is a fundraiser on Facebook started by Joann Cavitt Parsons. To date they’ve raied $1,000 of the $10,000 goal. Latest update is that her cancer is Stage 4, with widespread metastases. Older fans, especially in the South, will remember Maurine Dorris as a force to be reckoned with. She and JoAnn Parsons ran more ASFA suites and SFWA suites than I can remember. They started World Horror Convention, and ran the first two, in Nashville, TN. Maurine fell at home last week and broke her hip. Happens to lots of us these days. Sadly, while in the ER for that, it came out that she has metastatic cancer in multiple sites. Maurine has never been well blessed with money. The only insurance she has is Medicare Part A, because she felt that she couldn’t even afford Part B. She was widowed at an early age, and has only one son. She lives by herself, in a trailer on the property of her best friend JoAnn Parsons and her husband. Maurine has decided not to treat the cancer, and to return home as soon as possible. Clearly, she will need help. JoAnn has started a GoFundMe account for her, which I hope that you will be kind enough to share. (13) POWERFUL LINEUP. Joe Sherry recalls an influential 1975 Pamela Sargent anthology in “Feminist Futures: Women of Wonder” at Nerds of a Feather. …How familiar readers are with the twelve writers of Women of Wonder likely depends on how well and broadly read they are with the overall field of science fiction. For many, Vonda McIntyre may only be known as the writer of one Star Wars novel (The Crystal Star) and five Star Trek novels. Other readers will know McIntyre from her three Hugo Awards and one Nebula Award. Pamela Sargent put together a powerful lineup of writers (and stories), some of which have become absolute giants of the field. Anne McCaffrey. Ursula K. Le Guin. Joanna Russ. Marion Zimmer Bradley (more on her later)…. (14) FILE TYPE. Paul Weimer adds an entry to Ursula K. Le Guin’s dossier for Nerds of a Feather — “Feminist Futures: The Word for World is Forest”. …Finally, there is our Athshean protagonist, Selver. It is from his semi-omniscient point of view that we get the major worldbuilding of the novel as regards to how the Athesheans see themselves, and how their societies actually work. Davidson and even Lyubov, for his sympathies for the native inhabitants, simply doesn’t see or know about…. (15) BOOK LIFE. This time the author of The Traitor Baru Cormorant supplies the titles for Nerds of a Feather’s recurring feature — “6 Books with Seth Dickinson”. How about a book you’ve changed your mind about over time–either positively or negatively? Guns, Germs, and Steel. When I read it in high school I thought it was the smartest thing ever written. Now it’s pretty obviously reductionist. (I’m not, like, clever for figuring this out, there’s a bot on the history reddit whose only job is to post disclaimers about GG&S. )I used to think Pale Fire was a clever postmodern novel with a ‘true’ story hidden behind the one we’re given. Now I know that Zembla is real and John Shade failed its people.God, I can never remember enough books.